It's Friday and everyone is tired and ready for the end of the work week. Admittedly, I like nothing more than to roll up to the house and climb on to my giant leather sofa. Oh wait... not that... THIS! Could you imagine a better place to take a nap? I know that Dolly and Quincy would make themselves comfy right in the dead center of this sweet sofa. 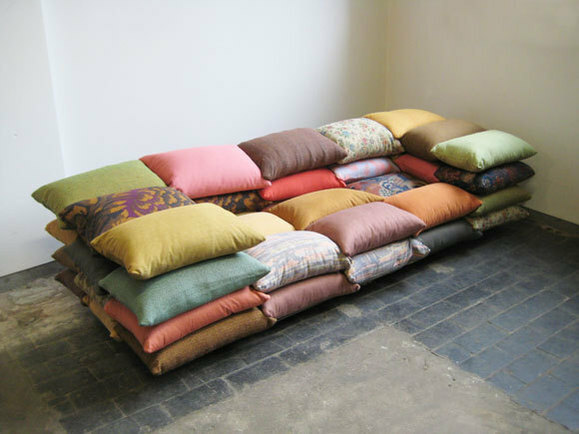 The sofa concept was realized by Christiane Hoegner of LoFi Studio and is assembled quite literally out of what it looks like. 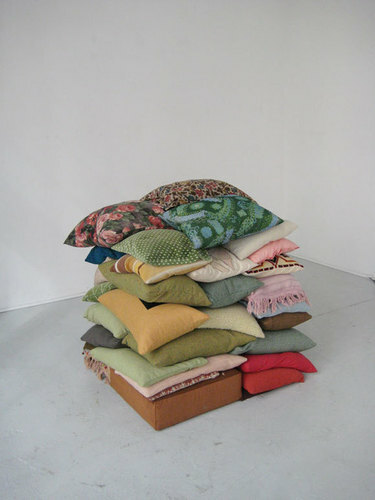 The cushions are filled with different types of material(depending on their placement) and connected through a series of hook and loop fasteners. 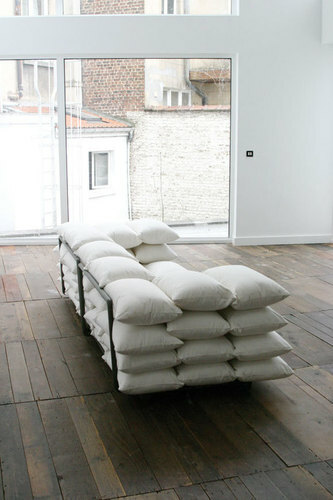 I'm not sure there could be a more unique seating space in a home(or a better conversation piece). What do you think? How would it look in your living room? Do the individual pillows hold together somehow? As far as I know Jeff, they are held together with a hook system that would allow the sofa to keep its shape on the base. I wondered about it myself- if it works, it's awesome! This is definitely a brilliant idea of yours. 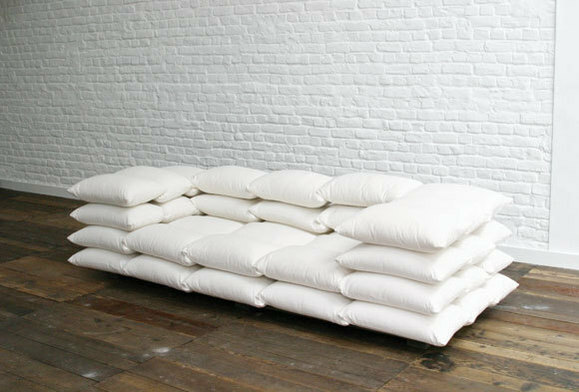 I never thought that I could use pillows to make a sofa. Great mind ! That is a clever idea! 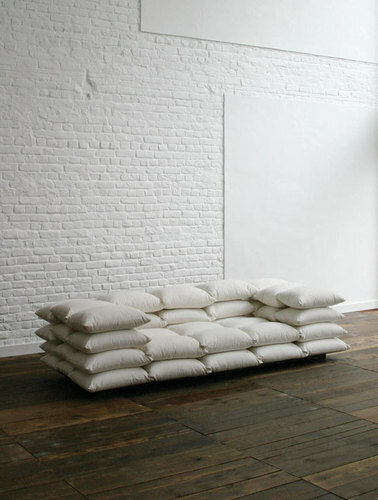 The sofa made from pillow looks very expensive and stylish. I can't wait to try this with my old pillow.